MMJ Group Holdings Limited (ASX:MMJ) (FRA:2P9) (OTCMKTS:MMJJF) provides an update on valuation of its investment portfolio. MMJ Group Holdings Limited (ASX:MMJ) (OTCMKTS:MMJJF) is pleased to advise that MMJ has agreed terms with Embark Ventures to act as asset manager of MMJ&apos;s cannabis investment portfolio. The appointment will be for an initial term of three years. MMJ Group Holdings Limited (ASX:MMJ) (OTCMKTS:MMJJF) provides an update on valuation of its investment portfolio. MMJ Group Holdings Limited (ASX:MMJ) (OTCMKTS:MMJJF) provides an update on recent events in the MMJ investment portfolio. MMJ Group Holdings Limited (ASX:MMJ) (OTCMKTS:MMJJF) is holding a shareholders&apos; meeting on 22 February 2019 to approve, amongst other matters, an equity raising pursuant to a share purchase plan. MMJ Group Holdings Limited (ASX:MMJ) (OTCMKTS:MMJJF) is delighted to note that Fire & Flower Inc. (CVE:FAF) listed on the TSX Venture Exchange with its shares closing at CAD1.34 compared to MMJ&apos;s entry cost of CAD0.80. MMJ Group Holdings Limited (ASX:MMJ) (FRA:2P9) (OTCMKTS:MMJJF) is pleased to announce that it has commit-ted to invest AUD1 million of ordinary equity for a 10% ownership interest in Trichomia Pty Limited. MMJ Group Holdings Limited (ASX:MMJ) (FRA:2P9) (OTCMKTS:MMJJF) attaches a copy of a recent news release by MediPharm Labs Inc ("MediPharm Labs") (CVE:LABS) (OTCMKTS:MLCPF) announcing that MediPharm Labs signed a CAD35m private label cannabis oil sale agreement with an option for additional CAD13.5m. MMJ Group Holdings Limited (ASX:MMJ) is pleased to attach a copy of a news release confirming that Fire & Flower Inc is expected to list on the TSX Venture Exchange on or around 19 February 2019 under the trading symbol "FAF". 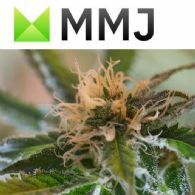 MMJ Group Holdings Limited (ASX:MMJ) (OTCMKTS:MMJJF) announces that its Chief Executive Officer Mr Jason Conroy has tendered his resignation. 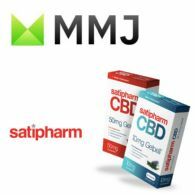 MMJ Group Holdings Limited (ASX:MMJ) (OTCMKTS:MMJJF) is pleased to note the attached announcement by Harvest One Cannabis Inc. (CVE:HVT) (OTCMKTS:HRVOF) confirming that it has launched European sales of its recently reformulated Satipharm CBD capsules. MMJ Group Holdings Limited (ASX:MMJ) (OTCMKTS:MMJJF) is pleased to provide an update on the unaudited market value of its investment portfolio (as at 29 January 2019). MMJ Group Holdings Limited (ASX:MMJ) (OTCMKTS:MMJJF) has issued the attached notice to hold a meeting of MMJ shareholders on 22 February 2019 to approve, amongst other things, the launch of a share purchase plan ("SPP") as announced on 19 December 2018. MMJ Group Holdings Limited (ASX:MMJ) (OTCMKTS:MMJJF) is pleased to attach a copy of a news release by Fire & Flower Inc confirming that it has achieved a milestone of CAD$10m in sales since opening for business on 17 October 2018. 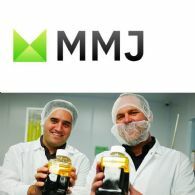 MMJ Group Holdings Limited (ASX:MMJ) (OTCMKTS:MMJJF) is delighted to attach a copy of a news release by MediPharm Labs Inc (CVE:LABS) (OTCMKTS:MLCPF) announcing that it had shipped over CAD$10 million of cannabis oil in December 2018. MMJ Group Holdings Limited (ASX:MMJ) (OTCMKTS:MMJJF) is required to announce its net tangible assets per share pursuant to Listing Rule 4.12 following its readmission as a listed investment company in November 2018. MMJ Group Holdings Limited (ASX:MMJ) (OTCMKTS:MMJJF) is pleased to attach a copy of a news release by MediPharm Labs Inc (CVE:LABS) (OTCMKTS:MLCPF) announcing that it had purchased over 1,600 kg of additional dried cannabis from 7 different licensed producers between December 18, 2018 and January 8, 2019. MMJ Group Holdings Limited (ASX:MMJ) (OTCMKTS:MMJJF) is pleased to note the attached recent announcement by Harvest One Cannabis Inc. (CVE:HVT) (OTCMKTS:HRVOF) confirming that its shares are trading in the United States on the OTCQX(R) Best Market operated by OTC Markets Group under the symbol "HRVOF". MMJ Group Holdings Limited (ASX:MMJ) (OTCMKTS:MMJJF) is pleased to attach a copy of a news release by MediPharm Labs Inc (CVE:LABS) (OTCMKTS:MLCPF) announcing that members of its management team and board have increased their combined shareholding in the company (by exercising share options) to over 39%. MMJ Group Holdings Limited (ASX:MMJ) (OTCMKTS:MMJJF) is pleased to attach a copy of a news release by MediPharm Labs Inc (CVE:LABS) (OTCMKTS:MLCPF) announcing that it has entered into a multi-year cannabis extraction agreement with TerrAscend Corp. (CNSX:TER) (OTCMKTS:TRSSF). MMJ Group Holdings Limited (ASX:MMJ) (OTCMKTS:MMJJF) is pleased to announce the appointment of Michael Curtis as a non-executive director, effective immediately. MMJ Group Holdings Limited (ASX:MMJ) (OTCMKTS:MMJJF) is pleased to attach a copy of a news release announcing that the common shares of MediPharm Labs Inc (CVE:LABS) (OTCMKTS:MLCPF) have commenced trading on the OTCQB Market, a trading platform in the United States that is operated by the OTC Markets Group in New York. MMJ Group Holdings Limited (ASX:MMJ) (OTCMKTS:MMJJF) is pleased to attach a copy of a news release announcing that MediPharm Labs Inc (CVE:LABS) has been added to the Horizons Marijuana Life Sciences Index ETF (TSE:HMMJ). MMJ Group Holdings Limited (ASX:MMJ) (FRA:2P9) (OTCMKTS:MMJJF) ("MMJ") is pleased to attach a copy of a news release announcing that MediPharm Labs Inc ("MediPharm Labs") (CVE:LABS) has expandedits annual production capacity by 50 per cent. MMJ Group Holdings Limited (ASX:MMJ) (OTCMKTS:MMJJF) is pleased to attach a regulatory and business update by VitaGenne Inc.
MMJ Group Holdings Limited (ASX:MMJ) (OTCMKTS:MMJJF) is pleased to attach a business update by Weed Me, Inc.
MMJ Group Holdings Limited (ASX:MMJ) (OTCMKTS:MMJJF) notes that its shares were placed into suspension by the Australian Securities Exchange on 13 December 2018 pending the result of further enquiries by the ASX regarding MMJ&apos;s cash position and capital raising intentions. 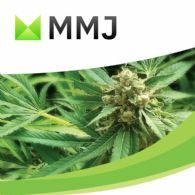 MMJ Group Holdings Limited (ASX:MMJ) (ETR:2P9) (OTCMKTS:MMJJF) ("MMJ") is pleased to provide answers to commonly asked questions on the structure, strategy, performance and outlook for MMJ. MMJ Group Holdings Limited (ASX:MMJ) confirms the expiry of its notice of intention to sell up to 5 million shares held in Harvest One Cannabis Inc. (TSX-V:HVT) that was filed in the Form 45-102F1 under Harvest One&apos;s SEDAR profile on 31 October 2018 and announced by MMJ on 1 November 2018. MMJ Group Holdings Limited (ASX:MMJ) (OTCMKTS:MMJJF) is pleased to note the attached news release by Harvest One Cannabis Inc. (CVE:HVT) announcing record revenues for the first quarter of fiscal 2019. MMJ Group Holdings Limited (ASX:MMJ) (OTCMKTS:MMJJF) is pleased to attach a copy of a news release announcing that MediPharm Labs Inc (CVE:LABS) has entered into an 18-month strategic supply agreement with Canopy Growth Corporation (TSE:WEED) (NYSE:CGC). MMJ Group Holdings Limited (ASX:MMJ) ("MMJ") is pleased to note the attached media release by Bien Ventures Ltd.
MMJ Group Holdings Ltd (ASX:MMJ) (OTCMKTS:MMJJF) provides the Company&apos;s latest investor presentation. Jason Conroy was appointed as Chief Executive Officer of MMJ Group Holdings Limited (ASX:MMJ) (OTCMKTS:MMJJF) in February 2018. As announced on 25 June 2018, MMJ Group Holdings Limited (ASX:MMJ) (OTCMKTS:MMJJF) entered into a binding share sale agreement pursuant to which it conditionally agreed to sell its wholly-owned subsidiary PhytoTech Therapeutics Ltd to Harvest One Cannabis Inc. (CVE:HVT) for total consideration of CAD$8 million. MMJ Group Holdings Limited (ASX:MMJ) (OTCMKTS:MMJJF) is pleased to attach a copy of a news release by MediPharm Labs Inc (CVE:LABS) announcing that it has entered into a 3-year cannabis concentrate program agreement with Supreme Cannabis Company Inc (CVE:FIRE). MMJ Group Holdings Limited (ASX:MMJ) (OTCMKTS:MMJJF) is pleased to note the attached news release by Harvest One Cannabis Inc. (CVE:HVT) announcing that it has entered into a multi-year cannabis extraction services agreement with Valens GroWorks Corp. (CNSX:VGW). MMJ Group Holdings Limited (ASX:MMJ) (FRA:2P9) (OTCMKTS:MMJJF) is pleased to attach a copy of a news release by MediPharm Labs Inc (CVE:LABS) confirming that it has been issued a sales licence by Health Canada. MMJ Group Holdings Limited (ASX:MMJ) (FRA:2P9) (OTCMKTS:MMJJF) is pleased to announce that it has invested CAD$2.5 million of equity into privately-held Embark Health Inc. This increases MMJ&apos;s total investment in Embark to CAD$2.65 million for a basic shareholding of circa 10%*. MMJ Group Holdings Limited (ASX:MMJ) ("MMJ") is pleased to announce that it has made a cornerstone equity investment of USD$1 million for an 18.2% shareholding in privately-held VitaGenne Inc.
MMJ Group Holdings Limited (ASX:MMJ) (FRA:2P9) (OTCMKTS:MMJJF) is pleased to attach a copy of a news release by MediPharm Labs Inc (CVE:LABS) confirming achievement of the significant milestone of the purification and production of 150,000 grams of cannabis extract. MMJ Group Holdings Limited (ASX:MMJ) ("MMJ") is pleased to note the attached release confirming that Fire & Flower Inc. ("Fire & Flower") has raised CAD$36.5 million, above its original target of CAD$30 million, from equity instruments ahead of its proposed listing on the TSX Venture Exchange ("TSX-V"). MMJ Group Holdings Limited (ASX:MMJ) (OTCMKTS:MMJJF) notes that, as part of its active portfolio management approach, it has lodged a notice with the TSX Venture Exchange stating its intention to divest up to 5 million of its 48.333 million shares held in Harvest One Cannabis Inc. (CVE:HVT). 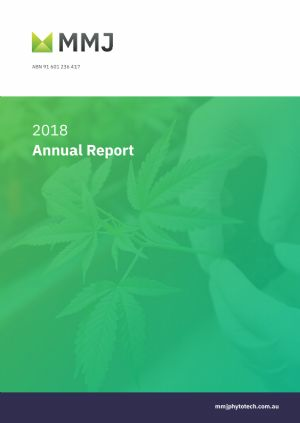 MMJ PhytoTech Ltd (ASX:MMJ) (OTCMKTS:MMJJF) provides the Company&apos;s Annual Report to shareholders. MMJ PhytoTech Limited (ASX:MMJ) (OTCMKTS:MMJJF) confirms that it has divested 5 million of its 53.333 million shares held in Harvest One Cannabis Inc. (CVE:HVT) through an on-market sale. The intention to make this divestment was first announced by MMJ on 12 October 2018. MMJ Group Holdings Limited (ASX:MMJ) (OTCMKTS:MMJJF) is pleased to note the attached announcement by Bod Australia Limited (ASX:BDA) confirming that they have entered into a collaboration agreement with Cannabis Access Clinics. MMJ Group Holdings Limited (ASX:MMJ) (OTCMKTS:MMJJF) is pleased to note the attached release by Harvest One Cannabis Inc (CVE:HVT) confirming the appointment of Will Stewart as its Senior Vice President, Corporate and Public Affairs. MMJ is the largest single shareholder in Harvest One. MMJ Group Holdings Limited (ASX:MMJ) (OTCMKTS:MMJJF) is pleased to attach a copy of the management presentation published by MediPharm Labs Inc (TSX-V: LABS). 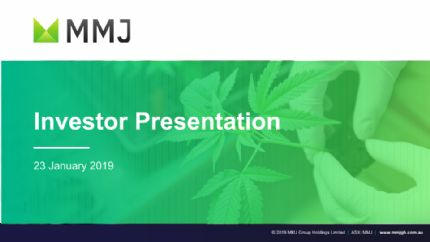 MMJ Group Holdings Limited (ASX:MMJ) (OTCMKTS:MMJJF) is pleased to provide the following speaker notes and attach a copy of the presentation that will be given by its CEO Jason Conroy today at Proactive Investors&apos; CEO Spotlight Investor Session in Sydney. MMJ Group Holdings Limited (ASX:MMJ) (OTCMKTS:MMJJF) is pleased to attach a release from MediPharm Labs Inc (TSX-V: LABS) confirming that it has made two senior management team appointments. MMJ Group Holdings Limited (ASX:MMJ) (OTCMKTS:MMJJF) attaches the presentation for Harvest One Cannabis Inc (CVE:HVT) presented by its CEO, Grant Froese, via webcast earlier this morning AEST. MMJ is the largest shareholder in Harvest One with 53.333 million shares for an approximate 30% ownership stake. MMJ Group Holdings Limited (ASX:MMJ) (OTCMKTS:MMJJF) notes the attached notice by Harvest One Cannabis Inc (CVE:HVT) that its CEO, Grant Froese, will present live on Thursday, 18 October 2018 at 2.30pm Eastern Time (being 5.30am, Friday, 19 October 2018 AEST). By registering as instructed, investors will have the opportunity to either attend the webcast at that time or view it afterwards. MMJ Group Holdings Limited (ASX:MMJ) (OTCMKTS:MMJJF) notes the attached media release overnight by Harvest One Cannabis Inc (CVE:HVT) that includes an operational update interview given to Proactive Investors by the President of United Greeneries, Harvest One&apos;s cannabis cultivation subsidiary. 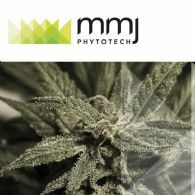 MMJ PhytoTech Limited (ASX:MMJ) (OTCMKTS:MMJJF) is pleased to note, ahead of the legalisation of recreational cannabis in Canada tonight, the attached media releases by that Fire & Flower Inc..
MMJ PhytoTech Limited (ASX:MMJ) (OTCMKTS:MMJJF) notes that, as part of its active portfolio management approach, it has lodged a notice with the TSX Venture Exchange stating its intention to divest up to 5 million of its 53.333 million shares held in Harvest One Cannabis Inc. (CVE:HVT). As announced by MMJ PhytoTech Limited (ASX:MMJ) (OTCMKTS:MMJJF) on 5 October 2018, MMJ&apos;s shareholders have approved the resolutions necessary for the disposal of PhytoTech Therapeutics Ltd to Harvest One Cannabis Inc (CVE:HVT). MMJ PhytoTech Limited (ASX:MMJ) (OTCMKTS:MMJJF) is pleased to invite shareholders to hear its CEO Jason Conroy present at Proactive Investors&apos; CEO Spotlight Investor Session in Sydney on Monday, 22 October 2018. MMJ will be one of five companies presenting on the day and a light lunch will be provided. MMJ PhytoTech Limited (ASX:MMJ) (OTCMKTS:MMJJF) is pleased to attach a release from MediPharm Labs Inc (TSX-V: LABS) announcing that it has entered into a Cannabis Concentrate Program Agreement with Emerald Health Therapeutics Inc (CVE:EMH). MMJ PhytoTech Limited (ASX:MMJ) (OTCMKTS:MMJJF) is pleased to attach a release from MediPharm Labs Inc. (TSX-V: LABS) providing a corporate update highlighting their achievements and ongoing activities. MMJ PhytoTech Limited (ASX:MMJ) (OTCMKTS:MMJJF) is delighted to note that MediPharm Labs Inc. (TSX-V: LABS) made a strong debut overnight on the TSX Venture Exchange with its shares closing at CAD$2.29, 169% above MMJ&apos;s entry cost. MMJ PhytoTech Limited (ASX:MMJ) (OTCMKTS:MMJJF) is pleased to confirm that the General Meeting of Shareholders scheduled for 2pm (AEST) today will proceed as planned. MMJ PhytoTech Limited (ASX:MMJ) (OTCMKTS:MMJJF) is pleased to note the interview given yesterday by its CEO, Jason Conroy, to Proactive Investors Sydney. 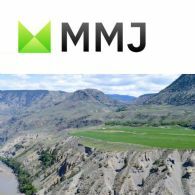 MMJ PhytoTech Limited (ASX:MMJ) (OTCMKTS:MMJJF) is pleased to attach a release by Harvest One Cannabis Inc. (CVE:HVT) announcing a significant minority investment in Burb Cannabis Corp, a privately-held cannabis retailer based in British Columbia, Canada. MMJ PhytoTech Limited (ASX:MMJ) (OTCMKTS:MMJJF) notes the attached release by Harvest One Cannabis Inc. (CVE:HVT) confirming that its subsidiary, United Greeneries, has entered into a Manitoba recreational cannabis supply agreement and become a registered supplier of recreational cannabis in Saskatchewan. MMJ PhytoTech Limited (ASX:MMJ) (OTCMKTS:MMJJF) is pleased to note the attached release confirming that Fire & Flower Inc. is to raise up to CAD$30 million from equity instruments ahead of its proposed listing on the TSX Venture Exchange. MMJ PhytoTech Limited (ASX:MMJ) (OTCMKTS:MMJJF) is pleased to note the attached release confirming that Fire & Flower Inc. has been granted its first interim retail cannabis store licences in Alberta. MMJ PhytoTech Limited (ASX:MMJ) (OTCMKTS:MMJJF) notes the attached release by Harvest One Cannabis Inc. (CVE:HVT) (OTCMKTS:HRVOF) confirming board and management changes. MMJ PhytoTech Ltd (ASX:MMJ) (OTCMKTS:MMJJF) provides the Company&apos;s Prospectus for an offer of up to 2,000 Shares at an issue price of $0.50 per Share to raise up to $1,000. 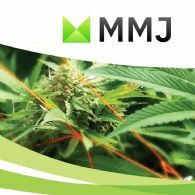 MMJ PhytoTech Limited (ASX:MMJ) (OTCMKTS:MMJJF) advises that, in accordance with MMJ&apos;s constitution, the General Meeting of Shareholders scheduled for 2pm (AEST) today has been postponed until 2pm AEST on Friday, 5 October 2018. MMJ PhytoTech Ltd (ASX:MMJ) (OTCMKTS:MMJJF) is pleased to note the attached media release confirming that Bien Ventures Ltd. aims to establish a cannabis derivatives manufacturing facility in Calgary AB in which it will develop proprietary intellectual property for nanoemulsions and powdered forms of CBD and THC. MMJ PhytoTech Limited (ASX:MMJ) (OTCMKTS:MMJJF) is pleased to note the attached release confirming that MediPharm Labs Inc is expected to commence trading on the TSX Venture Exchange under the symbol &apos;LABS&apos; on 3 October 2018. MMJ PhytoTech Limited (ASX:MMJ) (OTCMKTS:MMJJF) is pleased to note the filing statement related to the imminent listing, by way of a reverse takeover, of MediPharm Labs, Inc. on the TSX Venture Exchange. 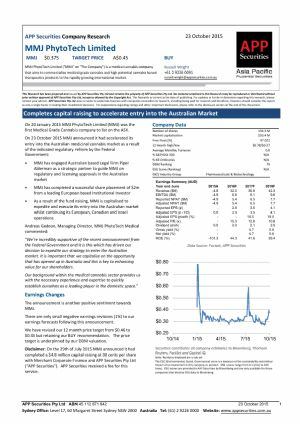 MMJ PhytoTech Limited (ASX:MMJ) (OTCMKTS:MMJJF) is pleased to note the attached news release confirming that Up Cannabis Inc., a wholly-owned subsidiary of Newstrike Brands Ltd (CVE:HIP), has entered into an agreement with MediPharm Labs Inc. to supply up to 1,200 kilograms of cannabis flower and shake that will be used for the purpose of extraction and the creation of cannabis oil and/or distillate. MMJ PhytoTech Limited (ASX:MMJ) (OTCMKTS:MMJJF) is pleased to note the attached announcement confirming that Fire & Flower Inc. proposes to list on the TSX Venture Exchange by way of a reverse takeover transaction. 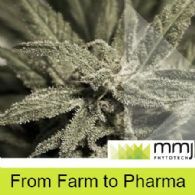 MMJ PhytoTech Limited (ASX:MMJ) (OTCMKTS:MMJJF) is pleased to note the interview with Proactive Investors Vancouver given by Pat McCutcheon, President and CEO of MediPharm Labs, Inc., providing a detailed description of their business and revenue model. MMJ PhytoTech Limited (ASX:MMJ) is pleased to note the recent interview given by Pat McCutcheon, CEO of MediPharm Labs, Inc., providing a business update ahead of MediPharm&apos;s imminent listing on the TSX Venture Exchange. MMJ PhytoTech Limited (ASX:MMJ) (OTCMKTS:MMJJF) provides an update on its current portfolio metrics. MMJ PhytoTech Limited (ASX:MMJ) (OTCMKTS:MMJJF) attaches a copy of a news release by Harvest One Cannabis Inc. (CVE:HVT) providing further details in respect of the recreational cannabis supply agreement for its subsidiary United Greeneries with the Ontario Cannabis Store, announced by MMJ yesterday. MMJ PhytoTech Limited (ASX:MMJ) (OTCMKTS:MMJJF) attaches a copy of a news release by the Ontario Cannabis Store confirming that it has entered into recreational cannabis supply agreements with a number of producers, including United Greeneries, a subsidiary of Harvest One Cannabis Inc. (CVE:HVT), and MediPharm Labs Inc.
MMJ PhytoTech Limited (ASX:MMJ) (OTCMKTS:MMJJF) is pleased to note the attached three news releases by MediPharm Labs Inc providing the details of three customer contracts signed over the past month or so and ahead of its listing on the TSX Venture Exchange expected later this month. MMJ PhytoTech Ltd (ASX:MMJ) (OTCMKTS:MMJJF) provides the Company&apos;s latest Investor Presentation. MMJ PhytoTech Limited (ASX:MMJ) (OTCMKTS:MMJJF) is pleased to confirm the lodgement of the MMJ Appendix 4E for the financial year ended 30 June 2018. MMJ PhytoTech Limited (ASX:MMJ) (OTCMKTS:MMJJF) is pleased to attach a copy of an investor presentation recently issued by Harvest One Cannabis Inc. (CVE:HVT). MMJ PhytoTech Limited (ASX:MMJ) (OTCMKTS:MMJJF) is pleased to note the attached news release by MediPharm Labs Inc confirming the appointment of two key marketing and business development senior management executives. MMJ PhytoTech Limited (ASX:MMJ) (OTCMKTS:MMJJF) provides a summary of the outlook for each of its cannabis sector investments through to the end of this year. 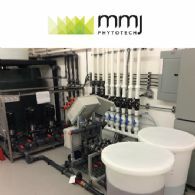 MMJ PhytoTech Limited (ASX:MMJ) (OTCMKTS:MMJJF) is pleased to announce results of the Phase 2 clinical trial undertaken by its wholly-owned subsidiary PhytoTech Therapeutics Ltd. As previously announced, PTL is to be sold by MMJ to Harvest One Cannabis Inc. (CVE:HVT), subject to MMJ shareholder approval. MMJ PhytoTech Limited (ASX:MMJ) (OTCMKTS:MMJJF) has invested CAD$0.15m for a 2.5% shareholding in privately-held Embark Health Inc as part of their CAD$1m seed funding round. MMJ PhytoTech Limited (ASX:MMJ) is pleased to note the attached news release by Harvest One Cannabis Inc. (CVE:HVT) confirming a Memorandum of Understanding ("MOU") between its wholly-owned subsidiary United Greeneries and the British Columbia Liquor Distribution Board for the supply of recreational cannabis. MMJ PhytoTech Limited (ASX:MMJ) is pleased to note the attached news release by Harvest One Cannabis Inc. (CVE:HVT) confirming the appointment of Grant Froese as its new CEO. MMJ PhytoTech Limited (ASX:MMJ) has invested CAD$5 million for a 6.9% basic shareholding in privately-held MediPharm Labs Inc as part of their CAD$22.3 million funding round. MMJ PhytoTech Limited (ASX:MMJ) is pleased to note the attached media release by Weed Me Inc confirming that they have secured an exclusive Canadian partnership with Amsterdam-based seed producer, Dutch Passion. MMJ PhytoTech Ltd (ASX:MMJ) provides the Company&apos;s latest Investor Presentation. MMJ PhytoTech Limited (ASX:MMJ) is pleased to advise that it has entered into a binding share sale agreement pursuant to which it has conditionally agreed to sell its wholly-owned subsidiary PhytoTech Therapeutics Ltd to Harvest One Cannabis Inc. (CVE:HVT) for a maximum total consideration of CAD$8 million. MMJ PhytoTech Limited (ASX:MMJ) is pleased to announce the appointment of MMJ&apos;s CFO, Jim Hallam, as Joint Company Secretary of MMJ effective immediately. MMJ PhytoTech Limited (ASX:MMJ) notes significant progress made overnight with the Canadian Federal Government&apos;s Bill C-45 (The Cannabis Act) being approved by the Senate and moving through to the final approval stage of Royal Assent. MMJ PhytoTech Limited (ASX:MMJ) is pleased to note the attached news release by Harvest One Cannabis Inc. (CVE:HVT) confirming that its wholly-owned subsidiary, United Greeneries, has received a Dealer&apos;s License pursuant to the Controlled Drugs and Substances Act under Health Canada. MMJ PhytoTech Limited (ASX:MMJ) has invested CAD$0.5 million for a 3.6% shareholding in privately-held BevCanna Enterprises Inc..
MMJ PhytoTech Limited (ASX:MMJ) notes progress made overnight with the Canadian Federal Government&apos;s Bill C-45, depicted in the link below. MMJ PhytoTech Limited (ASX:MMJ) has invested CAD$0.7 million for a 12.7% shareholding in privately-held Bien Ventures Ltd. Bien is based in Calgary, Canada and is an intellectual property, branding and licensing company. MMJ PhytoTech Limited (ASX:MMJ) notes the attached announcement by Harvest One Cannabis Inc. (CVE:HVT) that its wholly owned subsidiary, United Greeneries, has entered into a five-year lease agreement, with three five year renewal options, for a mainland site that will meet all previous announced capacity targets. MMJ PhytoTech Ltd (ASX:MMJ) announces the Company&apos;s portfolio divestments. MMJ PhytoTech Limited (ASX:MMJ) is pleased to announce that Cannabis Wheaton Income Corp (CVE:CBW) has completed the acquisition of Dosecann Inc.. The Acquisition proposal was announced by MMJ on 5 April 2018. MMJ PhytoTech Limited (ASX:MMJ) notes the recent interview given by Andreas Gedeon, CEO of Harvest One Cannabis Inc. (CVE:HVT), providing a business update including discussion of the recently announced Dream Water acquisition. MMJ PhytoTech Ltd (ASX:MMJ) provides the Company&apos;s latest presentation. MMJ PhytoTech Limited (ASX:MMJ) is pleased to note the attached media release by Weed Me Inc confirming that it has obtained a cultivation licence under the Access to Cannabis for Medical Purposes Regulations from Health Canada. MMJ PhytoTech Limited (ASX:MMJ) is pleased to note the attached press release by Cannabis Access, the medical cannabis access portal for Australian healthcare professionals, announcing the appointment of Dr Sanjay Nijhawan as Medical Director. MMJ PhytoTech Limited (ASX:MMJ) is pleased to announce that it has invested CAD$1 million for an approximate 1.6% shareholding (before the future exercise of options, warrants and other convertible securities) in privately held Fire & Flower Inc..
MMJ PhytoTech Limited (ASX:MMJ) is pleased to announce that it has entered into a strategic alliance with Calgary-based Target Capital Inc., trading as CBi2 Capital (CVE:TCI) (CNSX:TCI). MMJ PhytoTech Limited (ASX:MMJ) provides an operations update for its 100%-owned subsidiary PhytoTech Therapeutics Limited. 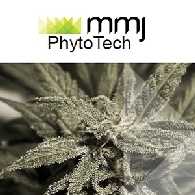 MMJ PhytoTech Limited (ASX:MMJ) is pleased to announce that it has rebranded to "MMJ" and relaunched its website. MMJ PhytoTech Limited (ASX:MMJ) is pleased to announce that it has invested $1 million for a 16.7% ownership stake in Biologics Research Institute Australia Pty Ltd, the owner of Cannabis Access, the leading online portal for medical cannabis access in Australia. MMJ PhytoTech Limited (ASX:MMJ) notes the attached news release by Harvest One Cannabis Inc. (CVE:HVT) confirming that Harvest One has mandatorily converted its convertible debentures into common stock. As a result, MMJ&apos;s current shareholding of 53.33 million common shares in Harvest One represents approximately 34.4% of their total outstanding shares. MMJ PhytoTech Limited (ASX:MMJ) is pleased to announce that Cannabis Wheaton Income Corp (CVE:CBW) has entered into a definitive acquisition agreement to acquire all of the outstanding securities of Dosecann Inc for an aggregate amount up to CAD$38 million, payable in Cannabis Wheaton common shares. MMJ PhytoTech Limited (ASX:MMJ) is pleased to announce the appointment of Jim Hallam as Chief Financial Officer of MMJ effective on 3 April 2018. MMJ PhytoTech Limited (ASX:MMJ) is pleased to announce the appointment of Doug Halley to the board, effective immediately. MMJ PhytoTech Ltd (ASX:MMJ) provides the Company&apos;s latest presentation titled "Canadian Cannabis Opportunity and Regulation". MMJ PhytoTech Limited (ASX:MMJ) welcomes today&apos;s announcement by the NSW Government outlining plans to simplify access to medicinal cannabis for doctors and patients in NSW. MMJ PhytoTech Limited (ASX:MMJ) advises that Harvest One Cannabis Inc. (CVE:HVST), the largest investment in MMJ&apos;s portfolio, has released the attached update in relation to its subsidiary United Greeneries. MMJ PhytoTech Limited (ASX:MMJ) is pleased to provide its review of operations for the half-year period ended 31 December 2017. MMJ PhytoTech Limited (ASX:MMJ) is pleased to attach an investor presentation and speaker notes to be presented by the Company&apos;s Chief Executive Officer Jason Conroy today in Sydney at the Finance News Network Investor Event. MMJ PhytoTech Limited (ASX:MMJ) notes the attached press release by Harvest One Cannabis Inc. (CVE:HVST) confirming that Harvest One intends to mandatorily convert certain of its convertible debentures into common stock on or about 28 March 2018. Post conversion, MMJ&apos;s current shareholding of 53,333,333 common shares in Harvest One will be 34.5% of the total outstanding shares. MMJ PhytoTech Limited (ASX:MMJ) is pleased to announce the appointment of Jason Conroy as Chief Executive Officer of MMJ effective from 26 February 2018. MMJ PhytoTech Limited (ASX:MMJ) is pleased to advise that TSX-V listed Harvest One Cannabis Inc. (CVE:HVST), of which MMJ holds 53,333,333 shares, has released an operational update on its wholly-owned horticultural subsidiary United Greeneries Ltd.
MMJ PhytoTech Limited (ASX:MMJ) is pleased to advise that TSX-V listed Harvest One Cannabis Inc. (CVE:HVST), of which MMJ holds 53,333,333 shares, has announced the closure of its C$40,250,000 bought deal offering. 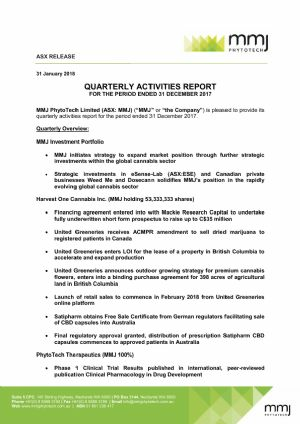 MMJ PhytoTech Limited (ASX:MMJ) is pleased to provide its quarterly activities report for the period ended 31 December 2017. MMJ PhytoTech Limited (ASX:MMJ) is pleased to advise that it has received results from the first 10 patients who participated in the Phase 2 clinical trial undertaken by MMJ&apos;s wholly-owned, Israeli-based subsidiary PhytoTech Therapeutics Ltd.
MMJ PhytoTech Ltd (ASX:MMJ) to Acquire Strategic Position in Canadian Specialty Pharma and Healthcare Company Dosecann Inc.
MMJ PhytoTech Limited (ASX:MMJ) is pleased to advise that it has entered into an agreement to acquire a strategic stake in private, Canadian-based healthcare company Dosecann Inc., via the proposed placement of C$2.5 million in secured convertible debenture units. MMJ PhytoTech Limited (ASX:MMJ) is pleased to advise that its partly-owned TSX-V listed subsidiary, Harvest One Cannabis Inc. (CVE:HVST), has released two announcements regarding its intentions to undertake a fully underwritten short form prospectus offer to raise up to $25,000,000 initially and then subsequently increased to $35,000,000 (excluding over-allotments) due to strong investor demand. MMJ PhytoTech Limited (ASX:MMJ) is pleased to advise that TSX-V listed Harvest One Cannabis Inc. (CVE:HVST), which is 59% owned by MMJ, has released an operational update in relation to its wholly-owned horticultural subsidiary United Greeneries Ltd.
MMJ PhytoTech Limited (ASX:MMJ) is pleased to advise shareholders that the Company welcomes the recent announcement (4 January 2018) made by Federal Government Health Minister Mr. Greg Hunt outlining the Government&apos;s plans to allow the export of medicinal cannabis products from Australia. MMJ PhytoTech Ltd (ASX:MMJ) is pleased to advise that it has finalised due diligence and signed the formal agreements to subscribe for C$2 million in secured convertible debentures in Toronto-based Weed Me Inc.
MMJ PhytoTech Limited (ASX:MMJ) is pleased to advise that TSX-V listed Harvest One Cannabis Inc. (CVE:HVST), which is 59% owned by MMJ, has released an operational update on its wholly-owned horticultural subsidiary United Greeneries Ltd.
MMJ PhytoTech Ltd (ASX:MMJ) Expands Canadian Cannabis Footprint via Strategic Investment in Late-Stage ACMPR Applicant Weed Me Inc.
MMJ PhytoTech Limited (ASX:MMJ) is pleased to advise that it has entered into an agreement to strengthen its position in the Canadian cannabis sector via the proposed subscription of C$2 million in secured convertible debentures in Toronto-based Weed Me Inc.. The Debentures are convertible into shares and warrants in Weed Me based on a pre-money valuation of C$10 million. MMJ PhytoTech Limited (ASX:MMJ) wishes to advise that Dr Daphna Heffetz, Chief Executive Officer of the Company&apos;s 100%-owned Israeli-based subsidiary PhytoTech Therapeutics Limited, has tendered her resignation. Dr Heffetz will remain in her current role until 31 December 2017. MMJ PhytoTech Limited (ASX:MMJ) is pleased to advise that TSX-V listed Harvest One Cannabis Inc. (CVE:HVST), which is 59% owned by MMJ, has released an update in relation to the financing agreement entered into with Mackie Research Capital Corporation. MMJ PhytoTech Limited (ASX:MMJ) is pleased to advise that TSX-V listed Harvest One Cannabis Inc. (CVE:HVST), which is 59% owned by MMJ, has released a corporate update in regards to a financing agreement entered into with Mackie Research Capital Corporation. MMJ PhytoTech Limited (ASX:MMJ) is pleased to advise that TSX-V listed Harvest One Cannabis Inc. (CVE:HVST), which is 59% owned by MMJ, has released an operational update on its horticultural division United Greeneries Ltd.
MMJ PhytoTech Limited (ASX:MMJ) is pleased to advise that results from the Phase 1 Clinical Trial undertaken by MMJ&apos;s wholly-owned, Israeli-based subsidiary PhytoTech Therapeutics Ltd have been published. MMJ PhytoTech Limited (ASX:MMJ) is pleased to advise that TSX-V listed Harvest One Cannabis Inc. (CVE:HVST), which is 59% owned by MMJ, has released an operational update on its medical and health division Satipharm AG. MMJ PhytoTech Limited (ASX:MMJ) is pleased to advise that it has agreed to invest A$500,000 in ASX listed Israeli life sciences company eSense-Lab Limited (ASX:ESE). MMJ PhytoTech Limited (ASX:MMJ) is pleased to provide its quarterly activities report for the period ended 30 September 2017, together with its Appendix 4C. 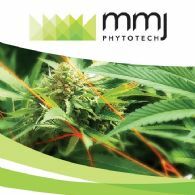 MMJ PhytoTech Ltd (ASX:MMJ) provides the Company&apos;s 2017 Annual Report to shareholders. MMJ PhytoTech Limited (ASX:MMJ) is pleased to advise that Harvest One Cannabis Inc. (CVE:HVST), which is 59% owned by MMJ, has released an update on its wholly-owned subsidiary United Greeneries Ltd..
MMJ PhytoTech Limited (ASX:MMJ) is pleased to provide the following update on the Company&apos;s strategic direction and proposed name change to "MMJ Capital Limited". MMJ PhytoTech Ltd (ASX:MMJ) is pleased to announce the appointment of Lisa Dea as Chief Financial Officer of the Company effective immediately. Ms. Dea has also been appointed CFO of Harvest One Cannabis Inc. (CVE:HVST), and replaces Mr Kwong Choo, who will be assuming a new role as Vice President Finance of Harvest One. MMJ PhytoTech Limited (ASX:MMJ) is pleased to provide the following investor update presentation, the purpose of which is to provide shareholders with an update on the Company&apos;s activities and strategic outlook following the completion of the Harvest One Transaction last month. MMJ PhytoTech Ltd (ASX:MMJ) is pleased to advise that its wholly-owned, Israeli-based subsidiary PhytoTech Therapeutics Limited, has received Helsinki and Ministry of Health approvals for the conducting of its Phase 2 clinical study into the safety and efficacy of its PTL201 capsules in treating spasticity related symptoms of multiple sclerosis patients. 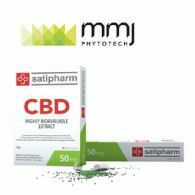 MMJ PhytoTech Ltd (ASX:MMJ) is pleased to advise that the Company&apos;s Australian distribution partner, Melbourne-based HL Pharma Pty Ltd., has successfully imported its first shipment of medicinal products from the Company&apos;s Swiss-subsidiary, Satipharm AG. MMJ PhytoTech Ltd (ASX:MMJ) is pleased to advise that Harvest One Cannabis Inc. (CVE:HVST) through its wholly-owned subsidiaries United Greeneries Ltd. and United Greeneries Saskatechwan Ltd., has entered into two separate agreements with PanCann Streaming Corp. to finance the construction of both the Lucky Lake facility and a new additional production facility to be identified. MMJ PhytoTech Ltd (ASX:MMJ) is pleased to provide its quarterly activities report for the period ended 31 March 2017. MMJ PhytoTech Limited (ASX:MMJ) is pleased to advise that Harvest One Capital Inc. (CVE:WON.H) has announced the closure of the acquisition of MMJ&apos;s wholly-owned subsidiaries United Greeneries Holdings Ltd and Satipharm AG. MMJ PhytoTech Limited (ASX:MMJ) today confirms that it has closed its previously announced sale of 100% of the issued and outstanding shares of United Greeneries Holdings Ltd. and Satipharm AG from PhytoTechMedical (UK) Pty Ltd., a wholly owned subsidiary of MMJ. MMJ PhytoTech Limited (ASX:MMJ) is pleased to advise that Harvest One Capital Inc. (CVE:WON.H) has received conditional approval from the TSX Venture Exchange for the acquisition of MMJ&apos;s wholly-owned subsidiaries United Greeneries Holdings Ltd and Satipharm AG. MMJ PhytoTech Ltd (ASX:MMJ) is pleased to advise that its wholly-owned subsidiary United Greeneries Holdings Ltd. has successfully completed its first cannabis harvest at the Duncan Facility in Canada. MMJ PhytoTech Limited (ASX:MMJ) is pleased to advise that the Canadian Federal Government has confirmed it will move to legalise the recreational cannabis market by 1 July 2018. The Federal Government&apos;s initial plans and proposed legislative framework are expected to be publically released on 10 April 2017. MMJ PhytoTech Limited (ASX:MMJ) is pleased to advise that the Company&apos;s Australian distribution partner, HL Pharma Pty Ltd, has received approval for a medicinal cannabis importation licence from the Department of Health. MMJ PhytoTech Ltd (ASX:MMJ) is pleased to provide the following sales and operations update on its wholly-owned Switzerland-based subsidiary, Satipharm AG. MMJ PhytoTech Limited (ASX:MMJ) is pleased to advise that its wholly-owned subsidiary United Greeneries Holdings Ltd has executed an agreement with Cowichan Tribes in respect to the leasing of a 13-acre land package located adjacent to the Company&apos;s existing Duncan Facility. The directors present their report, together with the financial statements, on the consolidated entity consisting of MMJ PhytoTech Limited (ASX:MMJ) and the entities it controlled at the end of, or during, the half-year ended 31 December 2016. MMJ PhytoTech Ltd (ASX:MMJ) is pleased to advise that the Company&apos;s Australian distribution partner, HL Pharma Pty Ltd. has submitted its application for a medicinal cannabis import licence to the Department of Health. MMJ PhytoTech Limited (ASX:MMJ) is pleased to advise that Canadian-based Harvest One Capital Corp. (CVE:WON.H) has closed the previously reported (January 27, 2017) private placement, raising C$25,000,500 before costs. Pursuant to the Placement, Harvest One issued 33,334,000 Subscription Receipts at a price of C$0.75. MMJ PhytoTech Ltd (ASX:MMJ) is pleased to advise that it has entered into a binding Letter of Intent with HL Pharma Pty Ltd. for the importation and distribution of the Company&apos;s medicinal cannabis products in Australia. MMJ PhytoTech Ltd (ASX:MMJ) is pleased to advise that its wholly-owned, Israeli-based subsidiary PhytoTech Therapeutics Limited ("PTL"), has commenced following Health Authorities&apos; approval, the Phase 2 clinical study into the safety and efficacy of its PTL101 capsules in treating refractory epilepsy in children. MMJ PhytoTech Ltd (ASX:MMJ) is pleased to provide its quarterly activities report for the period ended 31 December 2016. MMJ PhytoTech (ASX:MMJ) is pleased to advise that Canadian-based Harvest One Capital Corp. (CVE:WON.H) has increased its private placement to C$22 million, plus an over-allotment option of up to an additional C$3 million. Under the increased offering, Harvest One may issue up to 33,333,333 subscription receipts at a price of $0.75 per Subscription Receipt. MMJ PhytoTech Limited (ASX:MMJ) is pleased to advise that Canadian-based Harvest One Capital Corp. (CVE:WON.H) has launched a C$15 million private placement to finalise the acquisition of the Company&apos;s cannabis subsidiaries United Greeneries Holdings Ltd and Satipharm AG respectively. MMJ PhytoTech Limited (ASX:MMJ) advises in accordance with Listing Rule 3.10A, that the following securities will be released from escrow on Monday, 23 January 2017. MMJ PhytoTech Limited (ASX:MMJ) is pleased to advise that its Canadian-based subsidiary, United Greeneries Ltd ("UG") has commenced cannabis growing operations at its state-of-the-art Duncan Facility. 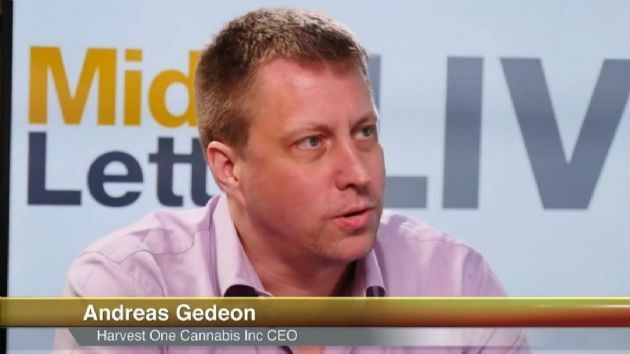 MMJ PhytoTech Limited (ASX:MMJ) is pleased to provide shareholders with this Q&A update from Managing Director Andreas Gedeon. MMJ PhytoTech Limited (ASX:MMJ) is pleased to provide the below statement following the Canadian Federal Government&apos;s Final Report into Cannabis Legalization and Regulation. The Report has been based on the findings and recommendations submitted by the Health Canada instigated Task Force. MMJ PhytoTech Ltd (ASX:MMJ) today confirms that it has signed a definitive agreement with Canadian-based Harvest One Capital Corp. (CVE:WON). The definitive agreement outlines the sale of 100% of issued and outstanding shares of United Greeneries Holdings Ltd and Satipharm AG to Harvest One. MMJ PhytoTech Ltd (ASX:MMJ) is pleased to provide the company&apos;s AGM Presentation with the topic "Developing a World-Class Pure Play Cannabis Company". MMJ PhytoTech Ltd (ASX:MMJ) is pleased to advise that its Canadian subsidiary, United Greeneries Ltd, has received an Import Permit from Health Canada and the Canadian Food Inspection Agency, allowing for the importation of 1kg of cannabis seeds. Importantly, this will enable UG to commence cultivation activities at the Duncan Facility in December. MMJ PhytoTech Ltd (ASX:MMJ) is pleased to advise that Canadian-based Mackie Research Capital Corporation has been appointed as lead manager for the equity financing component of the Company&apos;s proposed TSX-V listing. MMJ PhytoTech Limited (ASX:MMJ) wishes to advise that it is fully supportive of recent amendments to Australian Commonwealth legislation, legalising cannabis-based products for medicinal or research purposes as controlled drugs. MMJ PhytoTech Ltd (ASX:MMJ) advises that it has executed a binding Term Sheet with Canadian-based Harvest One Capital Corp. for the sale to Harvest One of 100% of the issued shares of United Greeneries Holdings Ltd and Satipharm AG respectively. MMJ PhytoTech Ltd (ASX:MMJ) is pleased to provide its quarterly activities report for the period ended 30 September 2016. MMJ PhytoTech Ltd (ASX:MMJ) is pleased to provide the company&apos;s Annual Report to shareholders. MMJ PhytoTech Limited (ASX:MMJ) has raised A$4 million through the placement of 19,512,196 fully paid ordinary shares ("Placement") to institutional and sophisticated investors at $0.205 per share. MMJ PhytoTech Ltd (ASX:MMJ) Directors present their report on the Consolidated Entity ("Group") consisting of MMJ PhytoTech Limited ("MMJ" or the "Company") (formerly PhytoTech Medical Ltd) and the entities it controlled at the end of, or during, the year ended 30 June 2016. MMJ PhytoTech Ltd (ASX:MMJ) is pleased to provide the latest Investor Presentation regarding MMJ Brands to List on TSX-V via RTO. MMJ PhytoTech Ltd (ASX:MMJ) is pleased to advise that it is set to unlock significant value for shareholders through the spin out of its core cannabis subsidiaries, United Greeneries Holdings Ltd and Satipharm AG, on the TSX-V.
MMJ PhytoTech Limited (ASX:MMJ) is pleased to advise that its wholly-owned, Israeli-based subsidiary PhytoTech Therapeutics Limited ("PTL"), will commence a Phase 2 clinical study into the efficacy of the its PTL101 capsules in treating intractable epilepsy in children. MMJ PhytoTech Limited (ASX:MMJ) ("MMJ" or "the Company") is pleased to advise that Catherine Harvey has been appointed as Chief Operations Officer, effective 1 September 2016. 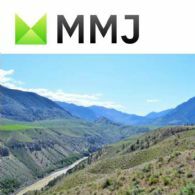 MMJ PhytoTech Limited (ASX:MMJ) is pleased to advise that its wholly-owned subsidiary United Greeneries has executed a binding letter of intent with Cowichan Tribes in respect to the leasing of a 13-acre strategic land package located immediately adjacent to the Company&apos;s existing Duncan Facility. MMJ PhytoTech Ltd (ASX:MMJ) are pleased to provide the Company&apos;s latest Investor Presentation for July 2016, &apos;From Farm to Pharma&apos;. MMJ PhytoTech Limited (ASX:MMJ) is pleased to provide its shareholders with the below Company update, in the form of a Q&A session with Managing Director Andreas Gedeon. MMJ PhytoTech Limited (ASX:MMJ) is pleased to advise that, on 30 June 2016, the Canadian federal regulatory authority Health Canada announced the creation of a Task Force on Marijuana Legalization and Regulation. MMJ PhytoTech Limited (ASX:MMJ) is pleased to advise that it has further strengthened its senior management personnel with the appointment of Richard Jarvis as Chief Financial Officer. MMJ PhytoTech Limited (ASX:MMJ) is pleased to advise that its wholly-owned Canadian subsidiary United Greeneries has been approved by Health Canada as an authorized Licensed Producer at its flagship Duncan Facility under the Marijuana for Medical Purposes Regulations. MMJ PhytoTech Limited (ASX:MMJ) is pleased to advise that it has strengthened its senior management and advisory personnel with the appointment of Stanislav Sologubov as Chief Executive Officer of Satipharm Switzerland and John Hollister as a strategic pharmaceutical consultant. MMJ PhytoTech Limited (ASX:MMJ) is pleased to announce its wholly-owned subsidiary United Greeneries ("UG") has received notification from Health Canada ("HC") that an MMPR Pre-License Inspection of UG&apos;s Duncan Facility will be conducted on February 1, 2016. MMJ PhytoTech Ltd (ASX:MMJ) are pleased to provide an Investor Presentation titled, &apos;Farm to Pharma: Maximizing Value Along the Chain&apos;. 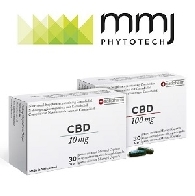 MMJ PhytoTech Limited (ASX:MMJ) (the "Company") Management and Board are pleased to announce it has received its first wholesale order for its 10mg and 100mg Satipharm CBD Gelpell(R) Gastro-resistant Microgel Capsules ("CBD Capsules" or "Capsules"). 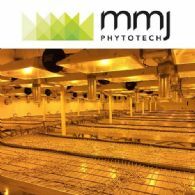 MMJ PhytoTech Limited (ASX:MMJ) is pleased to announce that through its subsidiary UG, it has received full occupancy at the state-of-the-art Duncan Facility located near Vancouver, British Columbia, Canada. UG was issued an Occupancy Permit as expected on 2 November 2015 after provincial and municipal review and approval. MMJ PhytoTech Limited (ASX:MMJ) ("MMJ" or the "Company") today announces its activities report for the quarter ended 30 September 2015. Focus shifted to execution after successful post-merger integration; strong start to December quarter with unexpected developments positioning the Company well. MMJ PhytoTech Limited&apos;s (ASX:MMJ) Management and Board are pleased to announce the commencement of the Phase 1 Clinical Trials being undertaken in Israel. A summary of the Phase 1 Clinical Trial was released to the market on July 6, 2015. 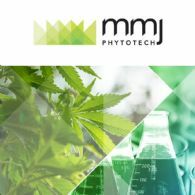 MMJ PhytoTech Limited (ASX:MMJ) advises that APP Securities Pty Ltd has issued an updated research report which is available on the Company&apos;s website. MMJ PhytoTech Limited (ASX:MMJ) is pleased to announce that it is accelerating its strategy to enter the Australian Medical Cannabis market, following the indicated regulatory reform by the Federal Government to legalise the use of cannabis for medical purposes and establish a licensed growing program to provide a safe and local source. 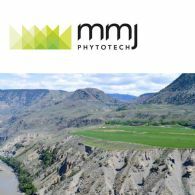 MMJ PhytoTech Limited (ASX:MMJ) ("MMJ" or the "Company") is pleased to provide investors with an update on the progress at its Duncan facility in Canada. MMJ PhytoTech Limited (ASX:MMJ) is pleased to announce that it will be featured in an upcoming episode of Innovations with Ed Begley Jr., airing 1st QT 2016 via the Discovery Channel. Dates and show times to be advised. 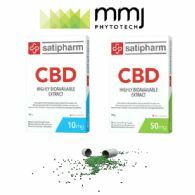 MMJ PhytoTech Limited (ASX:MMJ) is pleased to announce that its Swiss-based subsidiary Satipharm generated the Company&apos;s first revenues from sales of its game-changing CBD (Cannabidiol) Capsules in the month of August. The Company also announces the official launch of Satipharm.com, where retail customers in the European Union (the "EU") can purchase the Capsules today. MMJ PhytoTech Limited (ASX:MMJ) is pleased to announce that its subsidiary, PhytoTech Therapeutics, has received official National approval in Israel to commence a Phase I Clinical Study to assess the safety and performance of its proprietary oral capsule formulations. PhytoTech Medical Limited (ASX:PYL), is pleased to announce that it has completed the acquisition of 100% of the issued capital of MMJ Bioscience Inc. (MMJ). Shareholder approval was received on 29 June 2015 and all regulatory approvals have been satisfied to allow for the completion of the transaction. PhytoTech Medical Ltd (ASX:PYL) are pleased to provide an investor presentation titled &apos;From Farm to Pharma - Unlocking the Medical Cannabis Value Chain&apos;; a science-driven, global approach focused on the medicinal potential of Cannabis and its derivatives. PhytoTech Medical Ltd (ASX:PYL) is pleased to announce that Satipharm AG ("Satipharm"), a 100% controlled entity of MMJ Bioscience Limited ("MMJ"), has signed an agreement with AI FAME GmbH ("AI FAME") to market and distribute its Medical Cannabis products globally. PhytoTech Medical Limited (ASX:PYL) (the "Company") is pleased to provide an update on the progress of its oral drug development. On the 11 June 2015 the Company submitted two formal clinical documents, which, when approved, will allow it to begin its Phase 1 study of its two pro-nano-lipospheres Tetrahyrocannabidiol (THC) and Cannabidiol (CBD) formulations. PhytoTech Medical Limited (ASX:PYL) is pleased to announce that the conditions precedent to the merger transaction with MMJ Bioscience Inc have been satisfied or waived and accordingly the transaction is now unconditional. PhytoTech Medical Limited (ASX:PYL) today advises that the newly designed corporate website is now live and available at http://www.phytotechmed.com. PhytoTech Medical Limited (ASX:PYL) ("PYL" or the "Company") is pleased to announce that production of MMJ Bioscience Limited&apos;s ("MMJ") proprietary, Good Manufacturing Practice ("GMP") produced cannabidiol ("CBD") capsules commenced in Switzerland on 25 May 2015. PhytoTech Medical Limited (ASX:PYL) is pleased to provide an update on the proposed merger with MMJ Bioscience Inc ("MMJ"). PhytoTech Medical Limited (ASX:PYL) (the ‘Company’) today announces a favourable addition to its licensing and collaboration agreement with Yissum Research Development Company of the Hebrew University of Jerusalem Ltd (‘Yissum’). PhytoTech Medical Limited (ASX:PYL) (the "Company") advises that it has released an updated investor presentation on the proposed merger with MMJ Bioscience Inc on its website at www.phytotechmed.com/investor-presentation. 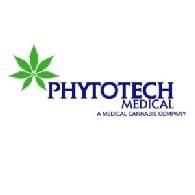 PhytoTech Medical Limited (ASX:PYL) is pleased to report that MMJ has received from Health Canada a "confirmation of readiness letter" that precedes the scheduling of a pre-licensing inspection. 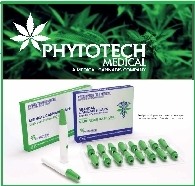 PhytoTech Medical Limited (ASX:PYL) advises that BBY Limited initiated research on the Company on 19 March 2015 and has issued an updated research report dated 25 March 2015 in response to the Company&apos;s proposed merger with MMJ Bioscience Inc.
PhytoTech Medical Limited (ASX:PYL), the Australian listed Medical Cannabis (MC) company, is pleased to announce that it has entered into an agreement to acquire 100% of the issued capital of MMJ Bioscience Inc. (MMJ), a Canadian based multinational vertically integrated MC company. PhytoTech Medical Limited (ASX:PYL) is focused on the research and development of products for administering MGC, and new treatments utilising MGC therapeutic components for various medical conditions. Phytotech Medical Limited (ASX:PYL), the Australian owned Medical Grade Cannabis (MGC) company today announces that it has entered into a Heads of Agreement (HOA) with Canigma A.L. Ltd, based in Israel, to develop a revolutionary capsule based vaporiser to administer medical cannabis. PhytoTech Medical Limited (ASX:PYL), the Australian owned Medical Grade Cannabis (MGC) company advises that the performance milestones attached to the Class A Performance Rights and Class B Performance Rights, which were based on share price hurdles have been achieved. As Chairman of PhytoTech Medical Limited (ASX:PYL), and on behalf of my fellow directors, I would like to provide you with update on the Company and in particular, the recent events that have occurred since listing on the ASX, on 22 Jan 2015. 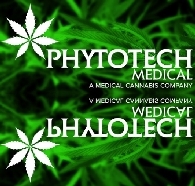 Phytotech Medical Limited (ASX:PYL), the Australian owned Medical Grade Cannabis (MGC) company and the first MGC company to list on the Australian Stock Exchange, is pleased to provide an update on the research and development of its MGC based therapeutic delivery systems for administering Medical Grade Cannabis (MGC). PhytoTech Medical Limited (ASX:PYL), the Australian owned Medical Grade Cannabis (MGC) company and the first MGC company to list on the Australian Stock Exchange, today announces that the research and development into its delivery systems for administering Medical Grade Cannabis (MGC) based therapeutic products has now commenced. PhytoTech Medical Limited (ASX:PYL), wishes to advise that Ross Smith has resigned as a director effective immediately. PhytoTech Medical Limited (ASX:PYL), the Australian owned Medical Grade Cannabis (MGC) company and the first MGC company to list on the Australian Stock Exchange, wishes to advise that Miss Erlyn Dale has been appointed company secretary of the Company, effective from 1 February 2015. PhytoTech Medical Limited (ASX:PYL), the Australian owned Medical Cannabis (MC) company and the first MC company to list on the ASX, is pleased to announce the appointment of Dr Daphna Heffetz, as CEO for the wholly owned subsidiary company in Israel. Phytotech Medical Limited (ASX:PYL), the Australian owned Medical Cannabis (MC) company and the first MC company to list on the ASX, is pleased to announce the appointment of Dr. Benad Goldwasser as a Non-Executive Director to its Board of Directors. Yissum Research Development Company Ltd., the technology transfer company of the Hebrew University of Jerusalem, announced today that it has signed an exclusive licensing and collaboration agreement with PhytoTech Medical Ltd. (ASX:PYL) for the development, manufacturing and marketing of a novel delivery system to enhance the bioavailability of cannabidiol (CBD) and/or THC, the active ingredients in cannabis, for the treatment of a variety of medical indications. PhytoTech Medical Limited (ASX:PYL), the Australian owned Medical Cannabis (MC) company has today become the first MC company to list on the ASX. The company achieved a significant level of support from the investor community, successfully raising $5.9 million at $0.20 per share. The offer was significantly oversubscribed, demonstrating the high level of demand in the market to invest in MC stocks and the calibre of the offering by PhytoTech. Phytotech Medical Limited (ASX:PYL) Israeli Legal Opinion - Medical Cannabis - Activities in Israel. Phytotech&apos;s prospectus dated 20 November 2014 reveals that it proposes to be a leader in the business of medical cannabis delivery systems focusing on the commercialisation of cannabis delivery systems in the markets of USA, Canada, Israel and Europe (all markets which presently have regulated medical cannabis laws). Official quotation of the Company&apos;s securities will commence at 2:00 pm Australian Eastern Daylight Savings Time ("AEDST") on Thursday, 22 January 2015. The Company has raised $5,932,410 pursuant to the offer under the prospectus dated 20 November 2014 and supplementary prospectus dated 5 January 2015 issued by the Company (together the "Prospectus") by the issue of 29,662,050 ordinary shares at an issue price of $0.20 per share.